Indians are finally going to be lucky enough to get access to the latest version of Apple’s iPhone 4S. Apple has finally called for pre bookings for iPhone 4S in India although the device will charge much price than that in the other countries. The shipping will start from 24 November midnight and the handsets will be available in Indian market from 25 November. 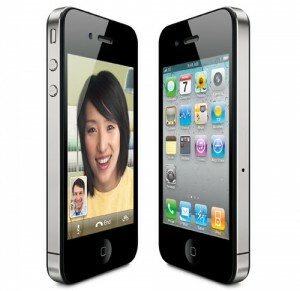 Apple has announced the price of the 32 GB iPhone 4S Rs. 50900 while the 16 GB version will come in Rs. 44,500 in Indian market. Aircel and Airtel – both of the service providers, who had brought iPhone 4 in India will also bring the iPhone 4S. According to experts although iPhone 4S had make four million in sales during the first weekend after it was launched in United States the market may remain down for the device in India due to its high price. Alok Shende, who is the principal analyst and co-founder of Ascentius Consulting has mentioned that it has become a tradition to experience high difference between the Apple products in US and that of the same product in India. Is case of iPhone 4G and iPhone 3GS the difference of price was moderate but now in case of the iPhone 4S the difference has grew up to minimum Rs. 6000 to Rs. 7000. A sector analyst has mentioned that if iPhone 4S have any sale in India it will be in the Grey market. They will sale the device at a much cheaper price because they do not have to go through issues like customers etc. Apple lovers among Indians are eagerly looking forward for the iPhone 4S which is a little upgraded version of the iPhone 4. iPhone 4S comes with the features like 8 MP camera, a much faster microprocessor etc. Otherwise the two handsets are almost same, says Sourabh Chakraborthy who has brought iPhone 4 six months ago.